It is harder for government officials to reach agreements now than in the past. And it is important to understand why. In some ways, it is a naïve question. Politics is always full of disagreements. But in other ways, it points to a deep way in which politics is broken, not just in Pennsylvania but in America. It is harder for government officials to reach agreements now than in the past. And it is important to understand why. People who work in local communities around the state by and large still find agreement and compromise possible. And that’s because business people, labor leaders, and non-profit leaders in local communities still accept the basic premises of the American political economy circa 1965. They believe that prosperity requires both a vigorous and innovative private sector and a vigorous and innovative public sector. They believe that shared prosperity is rooted, in part, in our market economy, the spirit of our entrepreneurs, and the innovations of our scientist and technologists. Public policy in Pennsylvania and our nation after World War II reflected these ideas. And it created an economy that was fast growing and in which wages were rising and inequality was declining. Higher wages and lower inequality contributed to economic growth, both because it enabled more and more children to rise in the world and use their talents for the good of all, and because it created a large group of consumers whose buying power kept the economy rolling. This kind of public sector became prominent at the federal level during the New Deal, although the federal government’s role in education is older than the U.S. Constitution. But it has a longer and deeper history at the state level. In the first half of the 19th century, the Commonwealth of Pennsylvania was active in every one of these areas described above. The notion that broadly shared prosperity requires strong public and private sectors — that it is the product of what in the 1960s was called a mixed economy — was long seen as a basic truth about our political economy. The mixed economy was not without conflict. Some people always said we need a little more government and some said we need a little less. Sometimes one side was more in the right or had the upper hand politically, and sometimes the other. But they could usually find a way to meet in the middle. The result is that, for decades, government in Pennsylvania stayed at roughly the same size as a share of our state’s GDP. But first in Washington, and now in Harrisburg, a dispute has arisen in which ideological extremists on the right reject the policies that created broadly shared prosperity in America. Over the last five years in Pennsylvania, we have seen the ideological right block or fight against new investments in K-12 and higher education, human services, and environmental protection. They have stood against new funding for roads, bridges, and public transit. They constantly call for cuts to taxes on corporations and the rich. And they undermine every proposal — from supporting public sector workers to raising the minimum wage — that would increase the consumption among working people we need to keep our economy growing. They were partly successful in the Corbett years, making cuts to education and human services that have still not been restored and the business tax cuts that largely created the structural deficit we are dealing with now. 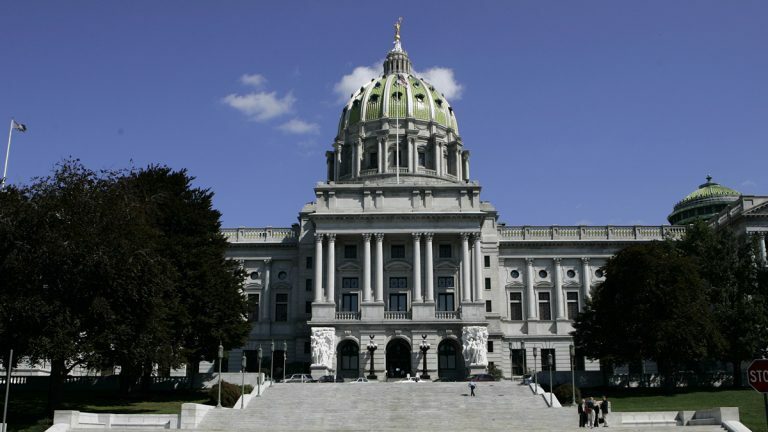 Government in Pennsylvania is significantly smaller than it was just five years ago and for the 20 years before that. And they are at it still. Last year Gov. Wolf and mainstream Republicans reached a bipartisan budget agreement that secured 43 votes (out of 50) in the Senate and came within a roll call of passing the House. But the ideological extremists among the House Republicans, backed by the right-leaning Commonwealth Foundation, killed it. This year, the extremists in the House have fought the higher levels of funding for education and human services. And they made it difficult to find the revenues needed to fund the budget their party approved. Is it any wonder that taxes in Pennsylvania are among the most unfair in the country, that spending on higher education per student ranks near the bottom, and that we have the most unequal spending on K-12 education in the country? The ideological extremism is found entirely on the right. Those of us who stand against the right wing extremists are not all the way over on the left. We don’t want ever-growing government. We don’t want to displace the private sector. We don’t want higher taxes on working people. What we want is a contemporary version of the public/private partnership that gave Pennsylvania one of the most dynamic economies in the world — and that continues to do the same in states such as California and Minnesota that have embraced our traditional American approach to government and the economy. What we don’t want is the wholesale undermining of the public sector we see in Louisiana and Kansas, where economic growth has stalled and wages are in decline. We can find our way back to a broad, pragmatic consensus on government and the market in Pennsylvania and public policies that created broadly shared prosperity in our state. But we need everyone to embrace America’s pragmatic understanding of the complementary roles of the public and private sector — and join the fight against extremism on the right — to get there. Marc Stier is the director of the Pennsylvania Budget and Policy Center.